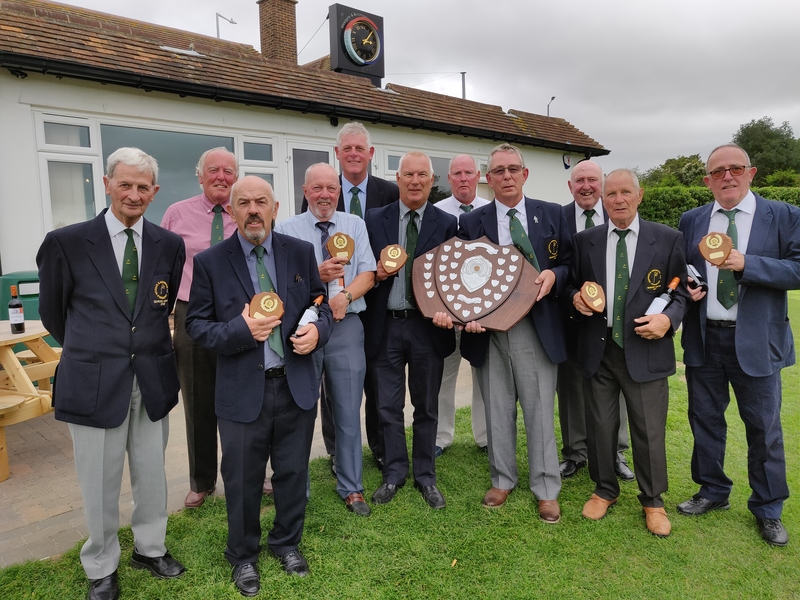 Senior golfers from five other clubs gathered at the Westgate and Birchington Golf Club on Tuesday 11th September, to play for the Seven Clubs Team Trophy, known as the 7 Clubs Shield. This competition marks the conclusion of the inter-club match series played between the six participating golf clubs every year. The 7 Clubs Shield was first established over thirty years ago when it was agreed that the Clubs would host the shield competition in rotation. The conditions and home advantage proved decisive with the host team from Westgate and Birchington Golf Club winning with a combined score of 216 points, the team score being based on the best seven scores from the eight players. Chestfield Golf Club were second with 211 points and Faversham Golf Club were third with 209 point.